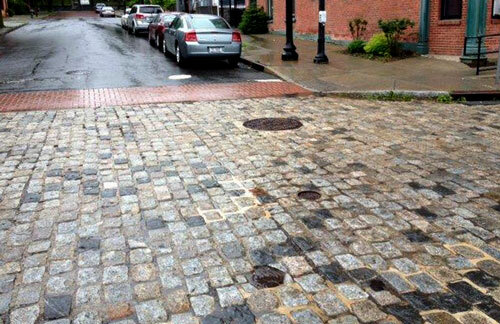 We are currently reclaiming regulation granite cobblestones from NYC streets. Also known as belgian block, these approximate 5" x 5" x 9" cobbles are great driveway pavers as well as building block. We have 200 pallets available of these beautiful mixed color cobbles. Act fast, quantities are limited and won’t be around long. To find out more about the reclaimed materials we offer, visit www.exbricks.com or call 716-691-3061.